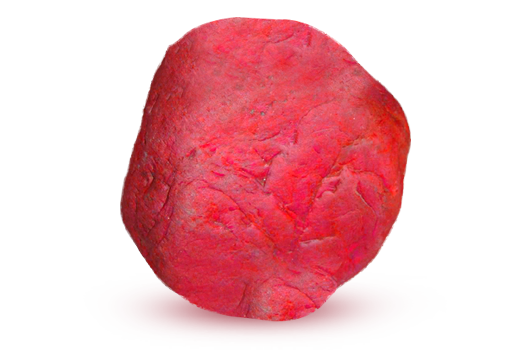 There is no other stone that defines the colour of love more than a Ruby. Cut to perfection by the skilled craftsmen, this 28.57 carat Burmese Ruby with its enchanting purplish red hue is a rarity in size. With a cushion cut that enhances its beauty, it’s the size that allures the most. 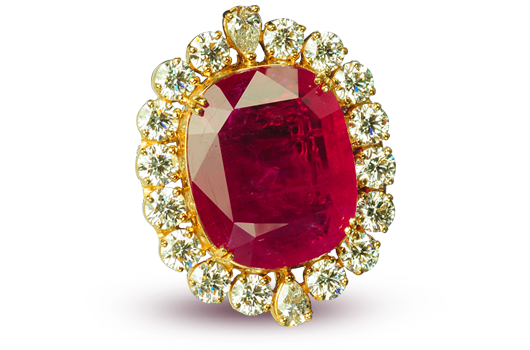 Coming from the famous mines of Burma which have been renowned for its premium rubies, this unheated 28.57 carat Ruby is one of the most precious gems in the collection of Color Impex. Having acquired it, great skill went in to bring out the beauty hidden in the raw stone with chances of losing the exceptional size that it possessed. Keeping intact its natural aura, our master craftsmen made sure the stone results in its full potential with no loss to its size and weight. A lot of care and precision went in to reveal the splendour that the gem possessed. Hard work yields the sweetest of fruits and the fruit of our passion took its final shape in the form of a beautiful ring crafted by International Designers on board. 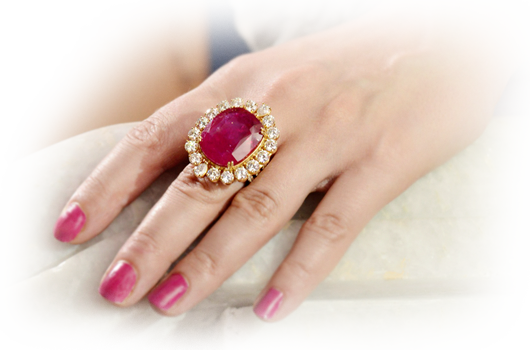 At 28.57 carats, the Ruby is surrounded by white flawless diamonds, carefully held with gold.